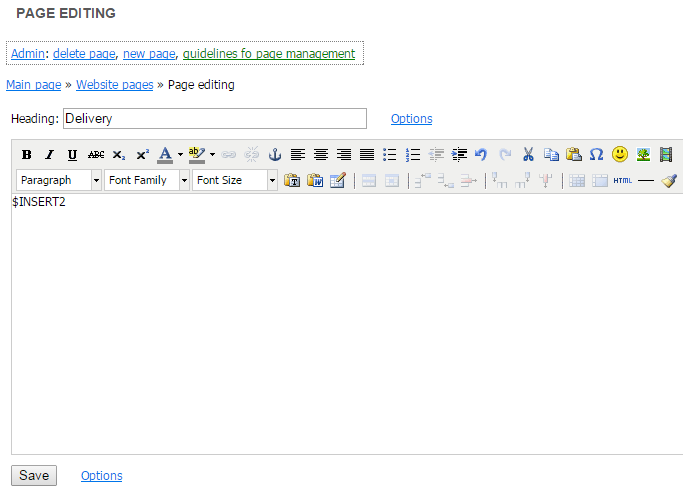 You can create many different forms for posting messages and insert them into different pages of your website. In every form there can be an unlimited number of fields. 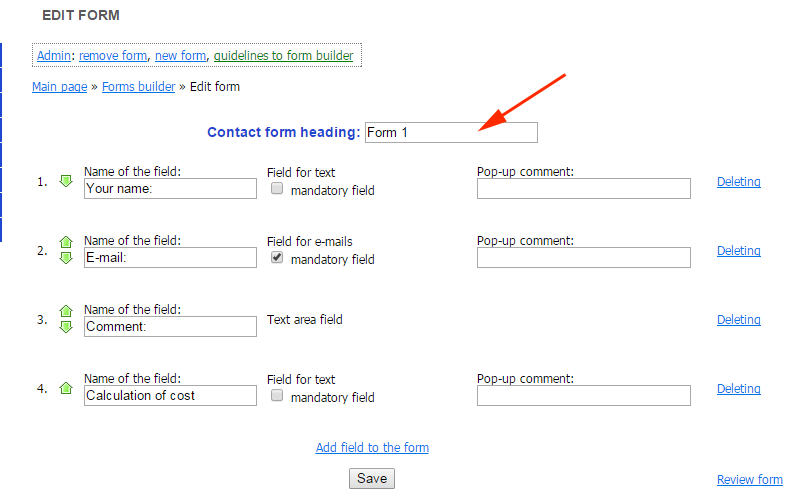 You can make some of the form fields required. The visitors can attach their files directly via the feedback form. 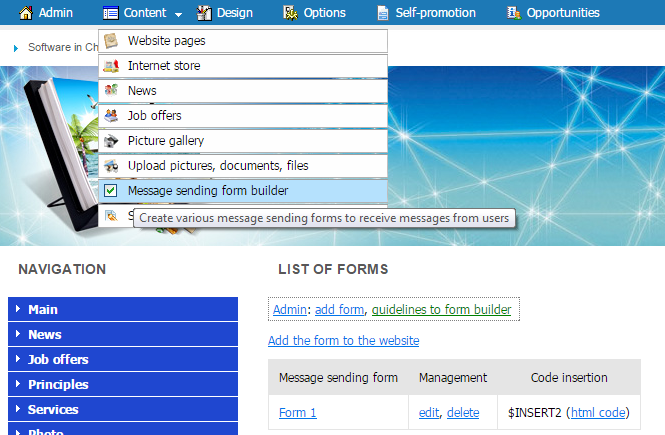 Copies of the messages that were sent using the message forms are stored in the incoming message database of your website. You can change the form html-code and design style. 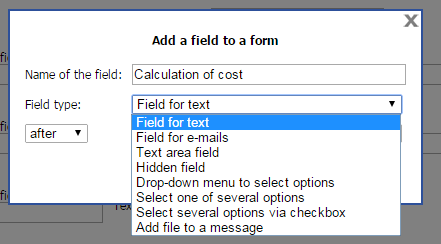 After clicking the "Save" button the new field will be added to the form builder. You can change the field placement in the form builder using the buttons. 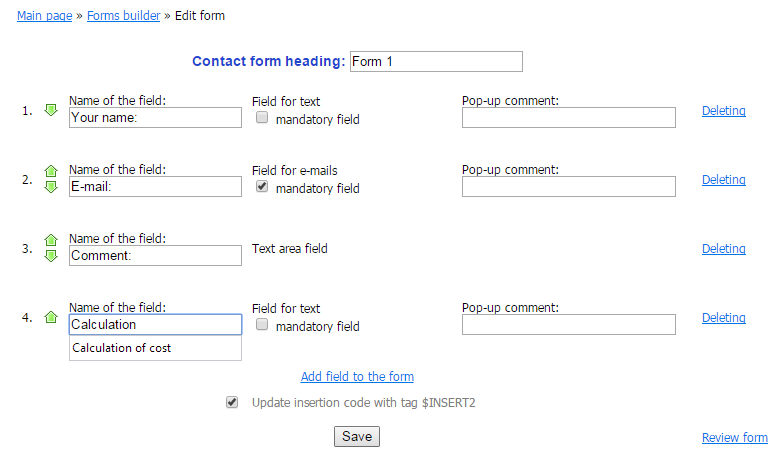 Now your form is created and the system has assigned a tag (code insertion) to it. 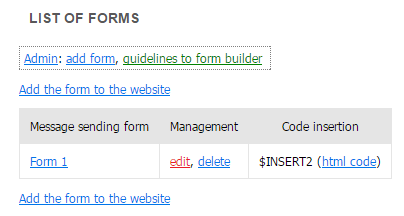 You can copy the tag in the form builder page: "Content" - "Message sending form builder"
After completing these actions, your form will be available on the page that contains the code insertion tag. If you wish to set the feedback form instead of the "Contacts", page, then click on the "Delete from menu" hyperlink in the "Contacts" page. 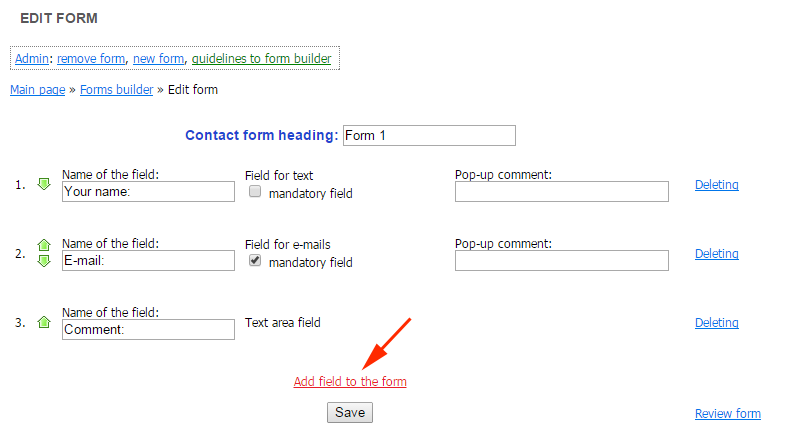 Create the new page that contains the feedback form, name it "Contacts" or "Feedback" and set this page as a menu item. The form has been changed. If you cannot see the changes, please refresh the page. To do so, click twice quickly on the refresh button in your browser or press the F5 button on your keyboard.